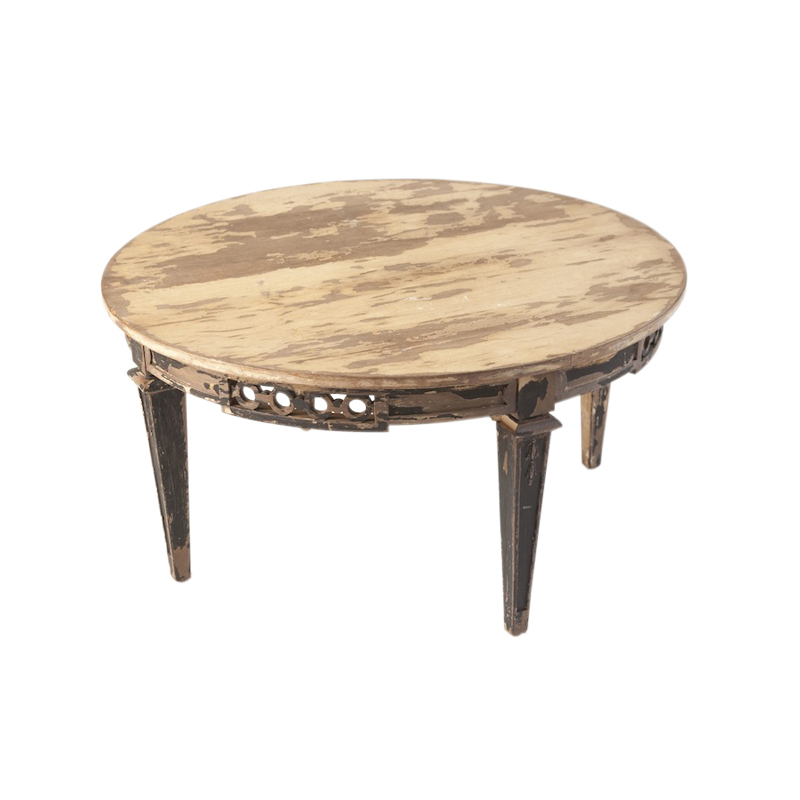 Round black wooden coffee table with very distressed top. 37 inches in diameter. 19 inches tall.